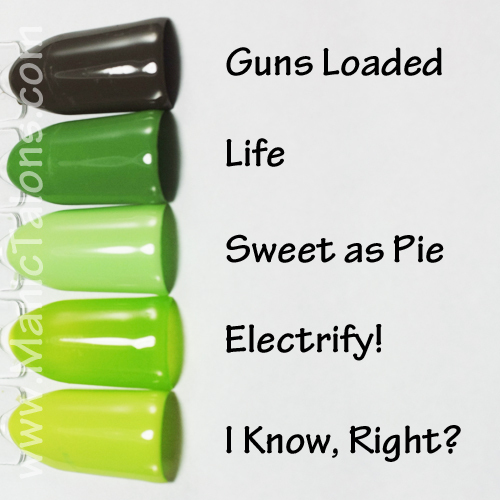 Manic Talons Nail Design: New Purjoi Swatches and Purjoi Giveaway! Hello Loves. 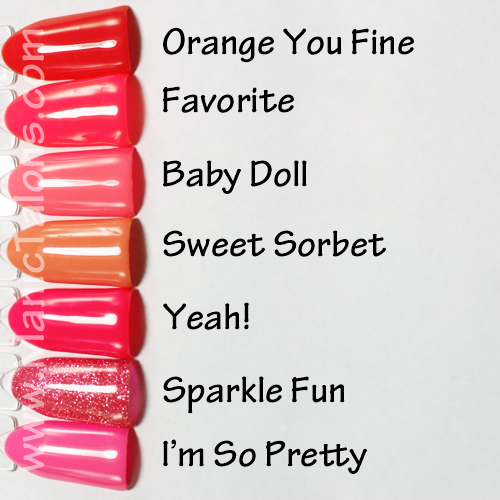 A few weeks ago, I reviewed a new One Step Gel Polish from Purjoi Nail Studio. Today I have a few more swatches to show you, plus the entire line on swatch sticks, and a chance for you to win three colors of your choice! 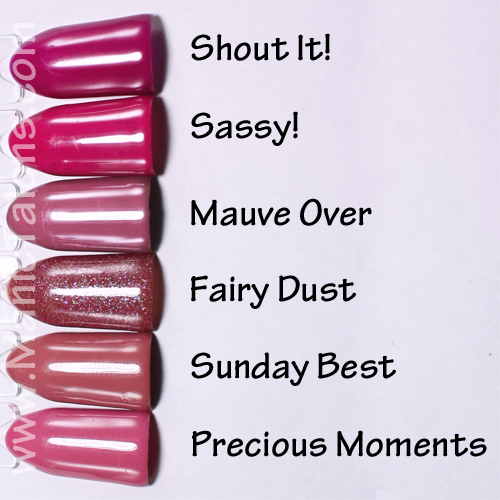 I'll start with the swatches, but make sure you scroll all the way to the bottom to enter the giveaway. ;) If you missed my Purjoi review, you can read it here. So we'll start with the teal greens. The first color is called Simple Times. This is a light to medium bluish green cream. I got as close as I could with this one and the color is right on my monitor but it is more vibrant in person. Two coats swatched below. 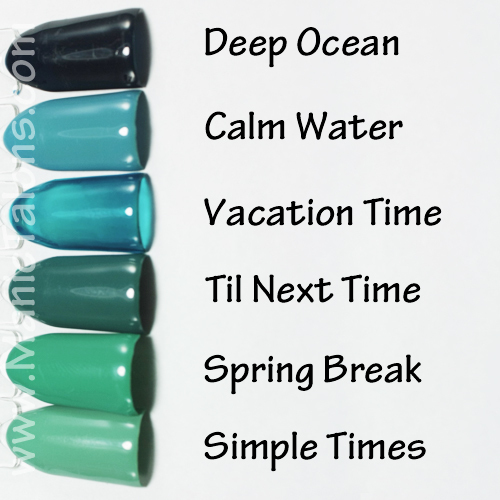 The second teal green is a darker shade called Spring Break. I love this color just as much as my camera hates it. Spring Break is a darker, mostly green teal cream. Again, the color is accurate on my monitor but in person it is more vibrant. This one is also two coats. The third color Joi sent is THE perfect Halloween orange. I can't think of a single better way to describe it. Orange You Fine is a ever so slightly red leaning orange cream. Again, two perfect coats. 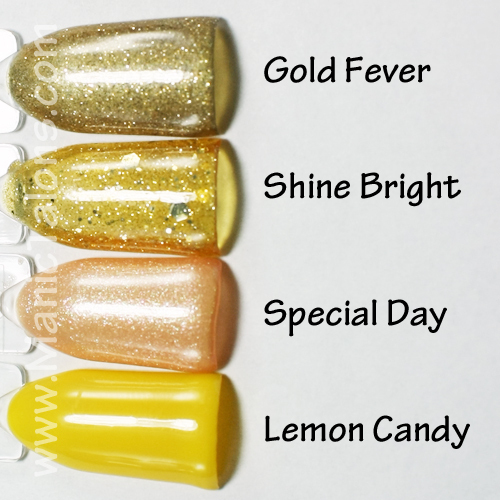 In addition to these three lovely shades, Joi was also kind enough to send me swatches of the entire Purjoi Nail Studio One Step line to date. Wanna see them? I thought you might. ;) I'm not going to try to describe each photo/color group. 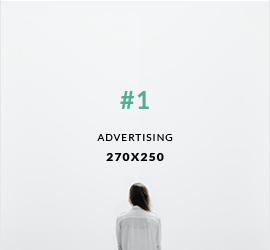 I think the pictures speak for themselves. Contest begins September October 24, 2014 at 12:00 am EDT and will end on November 7, 2014 at 12:00 am EDT. The prize will be fulfilled by Purjoi Nail Studio. If you don't see the Rafflecopter Widget above, click here to access the entry page directly. *The gel polishes featured in this post were provided by Purjoi Nail Studio for my honest review. The prizes for the giveaway are also to be provided by Purjoi Nail Studio. Is Vacation Time supposed to be sheer? It looks like it is a sheer, however it's buildable with several coats. I'm excited to use this with a "pond" manicure soon!